A partnership in Hermes is defined as a channel to your business partner. A partnership is a Simplex (one-way) communication channel to your business partner. 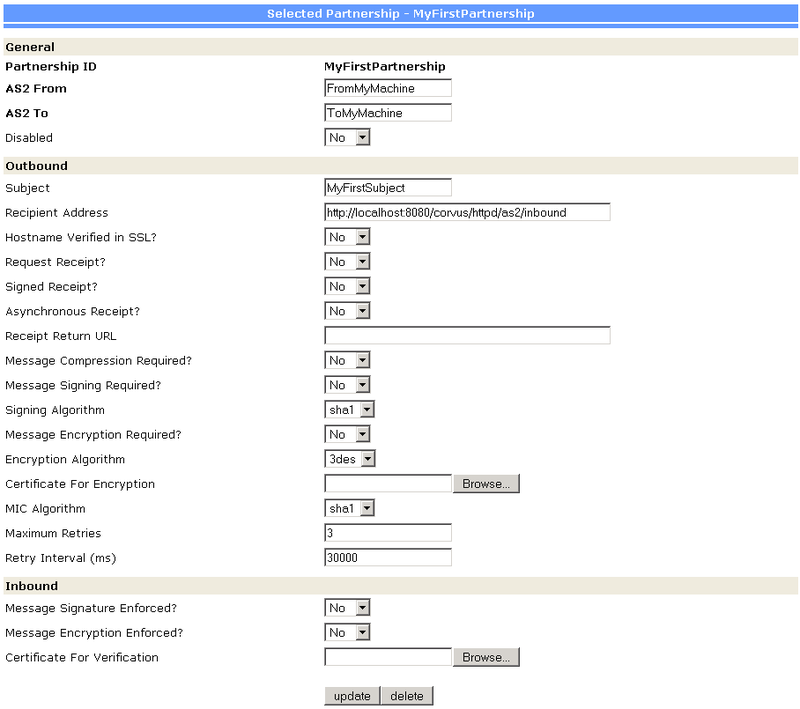 In a typical two-way business document exchange, the Hermes in each party should have TWO matching partnership for sending and receiving . 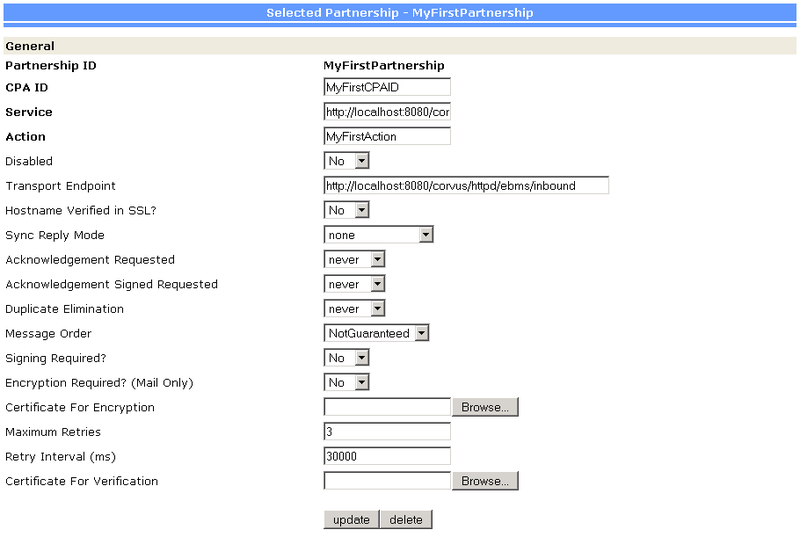 After the partnerships have been defined, the application can reference the partnerships to send or receive business messages. 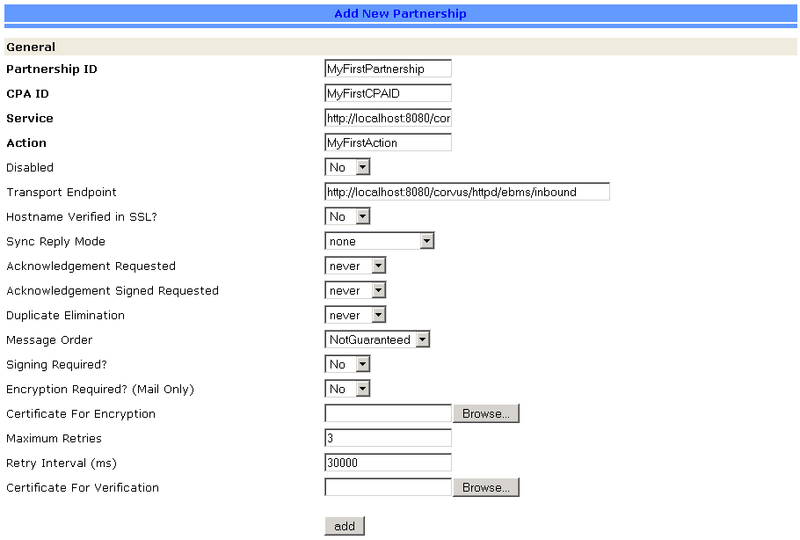 Duplux communication channel in Hermes can also be setup by configuring only ONE matching partnership in sending and receiving parties.